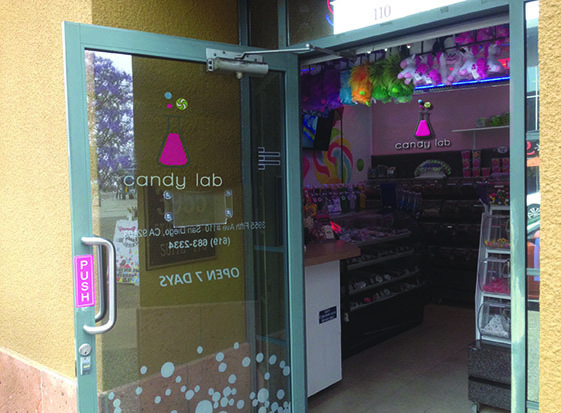 Candy Lab makes hand-rolled hard candies with interesting designs and patterns. Lisa Tominelli took on the revision of their logo and came up with a very sweet solution. Lisa used a morphological matrix to brainstorm solutions for lab equipment and candy and then found a connection that worked visually. The final logo came together after getting feedback and trying several different versions. Lisa rolled her logo concept into a business card and card holder, storefront signage, and animated logo.